London is bursting with fun things to do, fascinating places to see, and a great horde of fairly interesting people to squash up against in the Tube. But when you have a tiny tot in tow, it is near impossible to experience the City without a military-style operation to facilitate your day out. The Bubele app, described as the “free, go-to app for London parents”, may just change all that. 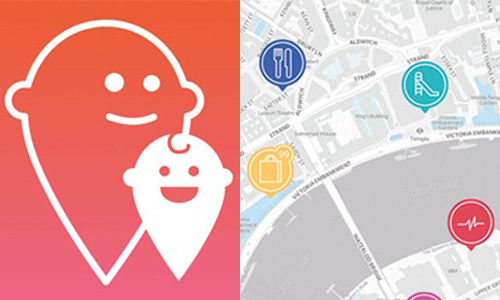 Created by Primrose Hill mother of two, Vivien de Tusch-Lec, the app is aimed at mums and dads with little ones under 5, and enables you to find, plan and get social with activities and services for your kiddies – whether you’re home and stuck for ideas on where to go, or already out and about. Motivated by her own isolating experience as a first-time mum, Tusch-Lec designed an app that would make getting out of the house, and meeting other mummies, as easy as a few taps on the iPhone. She realised that mothers of small children – being perpetually on the move – were most likely to run their lives from their mobile phones, and so the idea for the free app, launched just last month, was born. The Bubele app can be customised to your child’s age and the weather, finding activities and venues within a buggy push of your current location – or another search area. There are over 15,000 listings, including everything from kid-friendly shops, playgroups and classes, to restaurants, museums, playgrounds and attractions. Parents can then book the activity with the click of a button, and invite other mums along, via Facebook, email or texting. Friends do not need the app to receive invites and can RSVP via the website. “It makes it as easy as possible to find and book an activity and arrange a group trip,” says Tusch-Lec. impromptu change of plans, or just venturing out into the glorious city on impulse, is no longer something you can only do when a babysitter is on the meter. Check out the app at bubeleapp.com – it’s free for iPhone and iPad users!